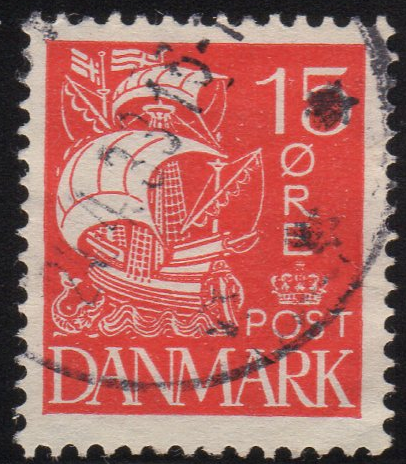 In 1927 and continuing through 1940, Denmark issued a set of stamps featuring a ship called a “Caravel” according to both Scott and Michel. The Facit catalog just refers to it as “Skepp” (or “Ship”). Here is the thing though…I don’t think this ship is a Caravel. The Caravel was a Portuguese ship, however, this is some “type” of Caravel. Maybe someone who knows more about Denmark naval history could provide some answers. The 3 groups a very easy to distinguish. The first type you really don’t even have to measure the perfs. Just look at the background color and you will note that it is solid, where the later types are engraved. 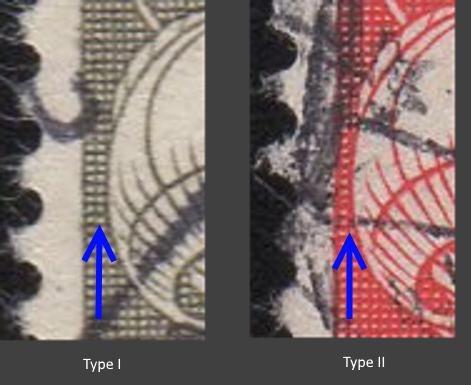 Type I stamps have 2 vertical lines of dots, and Type II stamps have a single vertical line of dots. The premiums for these varieties are fairly minimal but they are a nice addition to your collection. 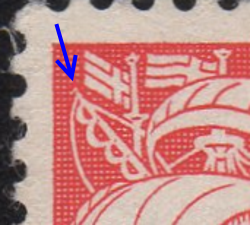 The Hook on Mast Variety exists on the 15o Red and 15o Green Type II Stamps. I don’t know why I didn’t discover earlier your blog/web site about your WW collecting quest. !! Good stuff too- like the the different varieties of Caravels here. Eric- if it is O.K. with you, I will add your blog link to my “Most Interesting blog and websites” list I keep for those interested in WW collecting. Hi Jim – thanks! – Would love a link! – I check out your blog often, it is quite an achievement you have put together.